Wrinkle Fillers have been around a long time. Will the newly approved LAVIV replace fillers? Expert Dermal Filler Trainer Nissan Pilest looks at the potential behind the self-cell process. If LAVIV can be used in such a way as to alleviate acne scars, that alone will change much of the accepted industry standard...and the lives of countless acne scar sufferers. Nearly 2 decades, researchers developed a process of cell cloning - now called Laviv - for the use in cosmetic dermatology. The promise was that your own cells would not be rejected by the body - and with cryopreservation, one could simply order new cells as needed as new wrinkles appeared. After a long ride with the FDA, the original technology (once named Isolagen) was purchased by Fibrocell Science. In their words "Fibrocell Science has developed an innovative technology to isolate, purify, and regenerate a patient’s own fibroblast cells for re-injection." The LAVIV process is fairly straight forward. Tiny tissue samples are taken from behind the ear, shipped to the Fibrocell culturing lab and expanded into hundreds of millions of your own fibroblasts. In about 90 days, the cells are ready to be sent to your dermatologist for reinjection. Upon injection into your skin, these active fibroblasts then create collagen - the protein which provides the "fill" and "volume" that smooths wrinkles and gives skin its shape and texture. The original cell culture is preserved - frozen - and can be re-cultured a number of times to provide a long term source of fresh fibroblasts and continuing correction of new wrinkles. Board Certified Dermatologist Nissan Pilest says you can think of it as your own "private cell bank". As to the question: Will LAVIV replace fillers? Dr. Pilest says it's not likely. Or at least not yet. The process does take time - a minimum of 3 months- and the initial costs are fairly high when compared with today's fillers. BUT...the lure of using your own cells, which won't be attacked by the body as a foreign body, is pretty tantalizing. Since LAVIV is still relatively new, it is the innovation of physician users who will see how far the real potential can go. Dr. Pilest feels there is no real direct comparison of LAVIV and current fillers, simply because once injected into the patient's skin, the biological processes will be unique. "I'm very excited to finally have access to such an innovative solution," he says. 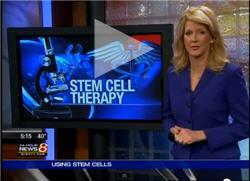 "Using your own cells for wrinkles is certainly a huge step. If LAVIV can be used in such a way to alleviate acne scars, that alone will change much of the laser industry. And change the lives of countless people who suffer from acne scars - and the psychological burden those scars carry with them." Studies are underway for scar treatment, both burn scars and acne scars, and stretch marks using LAVIV. Dr. Pilest says initial uses of LAVIV will most likely be as part of an integrated procedural path, combined with lasers, current synthetically-created fillers and collagen stimulators, and the ever versatile relaxers such as Botox, Dysport and Xeomin. Currently Dr. Pilest is investigating the potential of this self-filler for vertical lip lines - called smoker's lines or lipstick lines. Historically these lines, since they are so fine, nonlinear and close to the surface, have been difficult to treat to a satisfying degree. 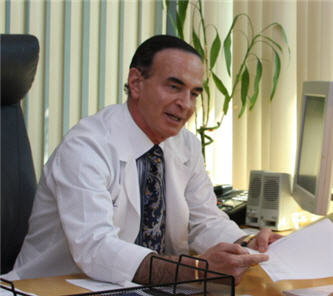 Dr. Pilest is a Board Certified Dermatologist in private practice since 1979 in Orange County, California. He is training physician for most of the FDA approved wrinkles fillers and relaxers - and a laser trainer for Fraxel and Candela, Dr. Pilest is an active Assistant Professor at the University of California Irvine and the 2012 President of the Dermatological Society of Orange County. His Irvine dermatology clinic, Total Dermatology, is located near the Spectrum. Total Dermatology can be contacted by calling (949) 727 3800 or emailing Info(at)TotalDermatololgy(dot)com.